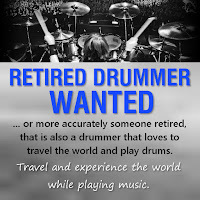 We are looking for a retired drummer, or more accurately we would like someone retired, that is also a drummer. Travel and experience the world while playing music. April/May through October/November - 6 to 7 months per year. The goal of the tour is to play music often, in as many places as possible, worldwide. However, we will be doing it at a slow retired, tourist speed. In other words, the band will stay in an area for 1 month at a time, and perform regionally 2-3 days per week, before moving to the next community. Each community will include a BLUES AGAINST HUNGER food drive jam. The jam is an opportunity to play with many of the top players in the area. Must have their own drum set, acoustic or electric. 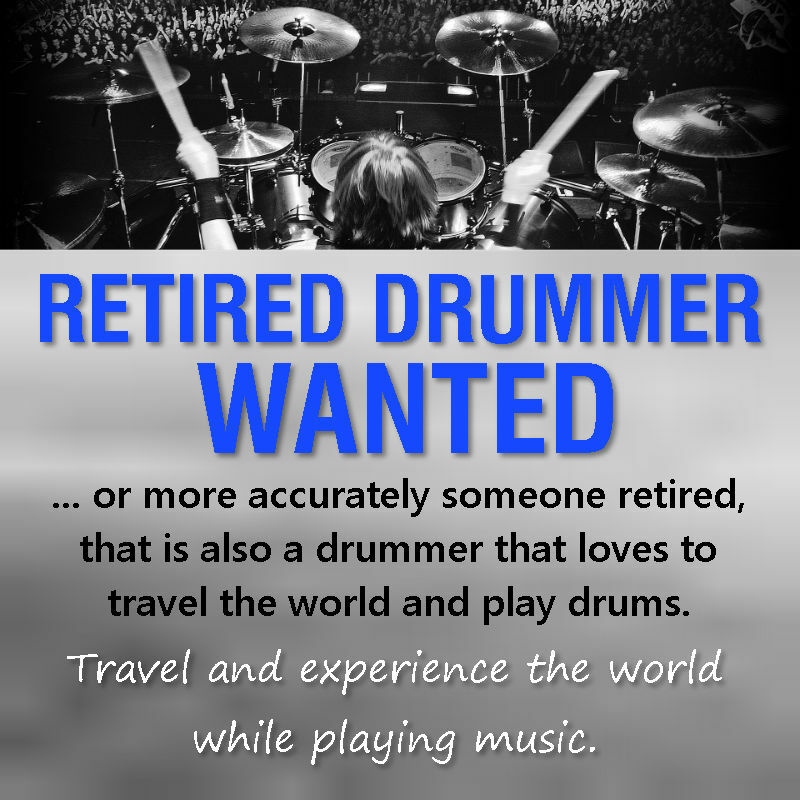 Must be able to play a variety of blues, rock and Latin beats/rhythms proficiently and professionally. Ability to sing a plus, but not needed. Easy going, and NO ISSUES. Must also have your own transportation and accommodations for extended stays, such as a camper, trailer or RV. The band will be staying in markets 2 weeks to 2 months depending on the market size and available performance opportunities. All booking will be managed and dates confirmed, prior to tour start. Payment will include performance guarantees. Please CONTACT US, you can talk directly with us, or leave a message with the CHAT APP, on the right bottom of the page.